Embeddable Sportsyear calendar widget for websites. 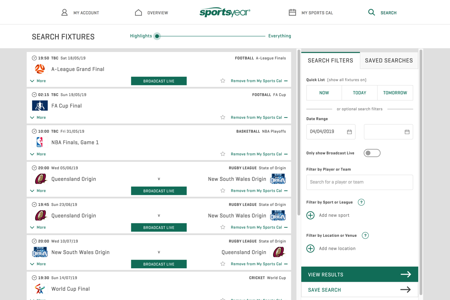 Web application for Sportsyear’s sports data services. 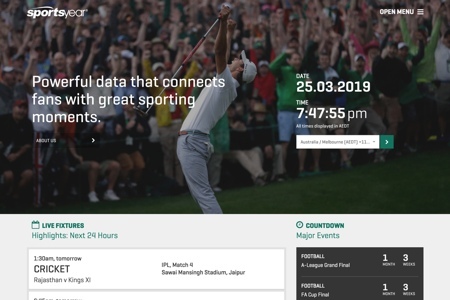 Website for Sportsyear sports data services. 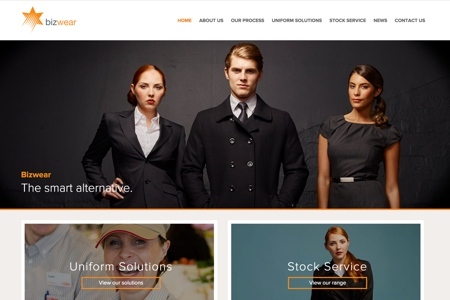 Website for Bizwear apparel supplier. 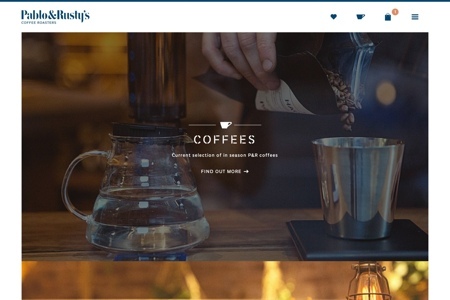 Website & ecommerce store for Pablo & Rusty’s coffee roasters. 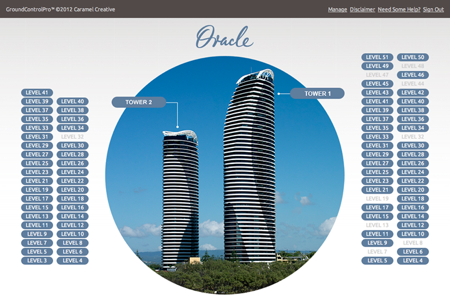 Property sales tool for The Oracle residential property development. 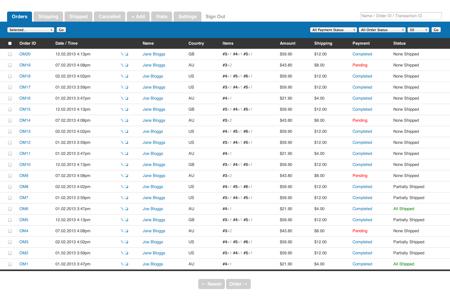 Order management system for Offscreen Magazine. 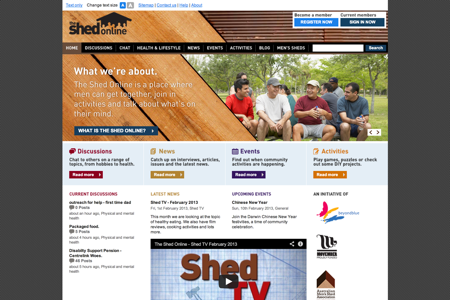 Social network website for beyondblue & Movember. 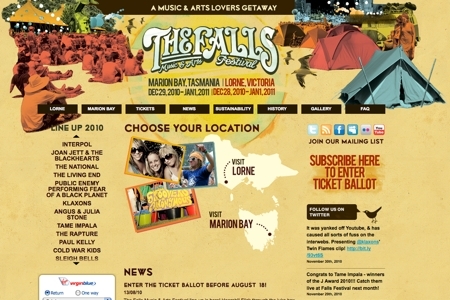 The official Falls Festival 2010 website.